A flag meeting was held between the senior army officials of Indian and China on Friday at Nathu La mountain pass in Sikkim. According to sources, Doklam standoff was extensively discussed during the meeting but the “deliberations remained inconclusive”. The Border Personnel Meeting (BPM) was attended by Major General rank officers from both sides. India kept on insisting that simultaneous withdrawal of troops by the Indian and Chinese sides could resolve the face-off, the sources said. Friday’s deliberations follow a meeting between brigade commanders of the two sides on August 8. A senior Indian official said, “The meeting remained inconclusive as the Chinese side insisted on withdrawal of Indian troops from Doklam immediately.” In order to ensure peace and tranquillity along the sensitive border, the BPM set up was launched by the duo. Five points were included in the BPM - Daulat Beg Oldie in northern Ladakh, Kibithoo in Arunachal Pradesh, Chusul in Ladakh, Bum-La near Tawang in Arunachal Pradesh and Nathu-La in Sikkim. It’s been nearly eight weeks that India and China have been locked in a fact-off in the Doklam area of Sikkim. China claimed it was constructing the road within their territory and has been demanding immediate pull-out of the Indian troops from the disputed Doklam plateau. Bhutan says Doklam belongs to it but China claims it to be its territory. China has been ramping up rhetoric against India over the last few weeks demanding immediate withdrawal of Indian troops from Doklam. The Chinese state media, particularly, have carried a barrage of critical articles on the Doklam stand-off slamming India. External Affairs Minister Sushma Swaraj had recently said both sides should first pull back their troops for any talks to take place, favouring a peaceful resolution of the border standoff. 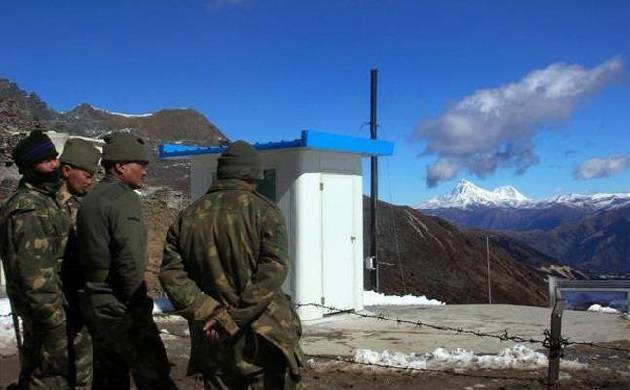 Doklam standoff: Has the Army ordered evacuation of village near India-Bhutan-China tri-junction?